In honor of Prematurity Awareness Month (one day late, whoops! 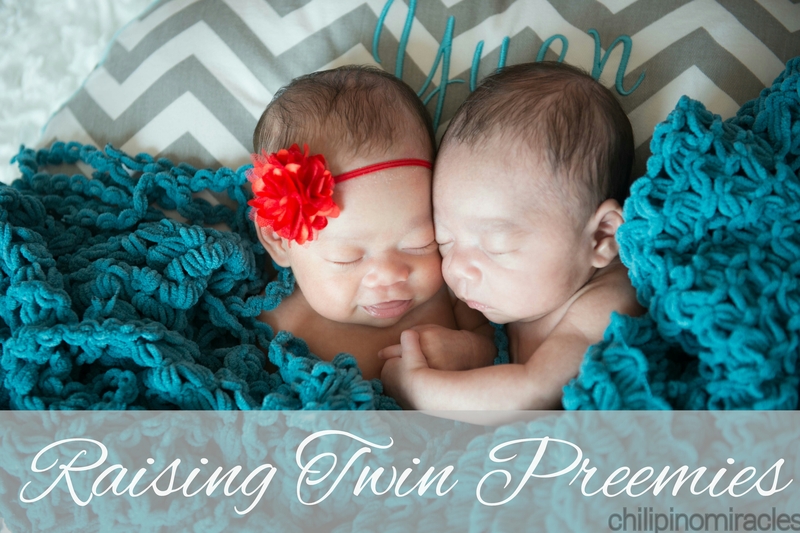 ), here is a guest post from a twin preemie mom, Lian! Her ADORABLE babies were born 7 weeks early and they are now healthy and beautiful at 4 months old. This post has touched me deeply, particularly because I can relate to all of Lian’s experiences being a preemie mama with babies in the NICU and the scares and worries of bringing home preemies. 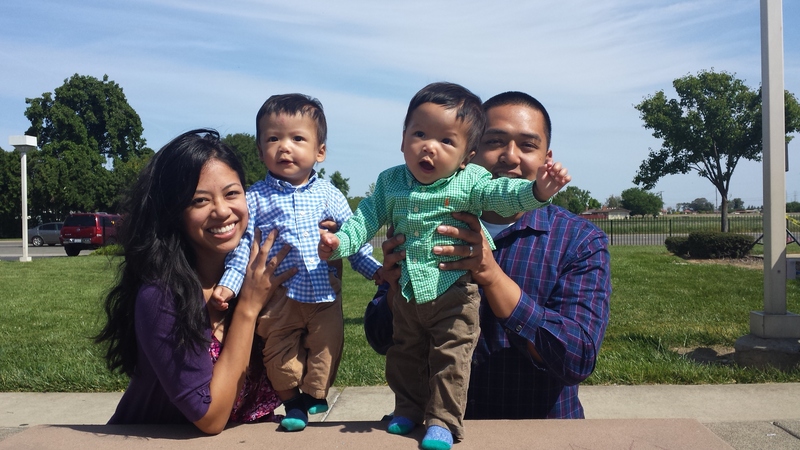 Read on for more about her life as a preemie mom! 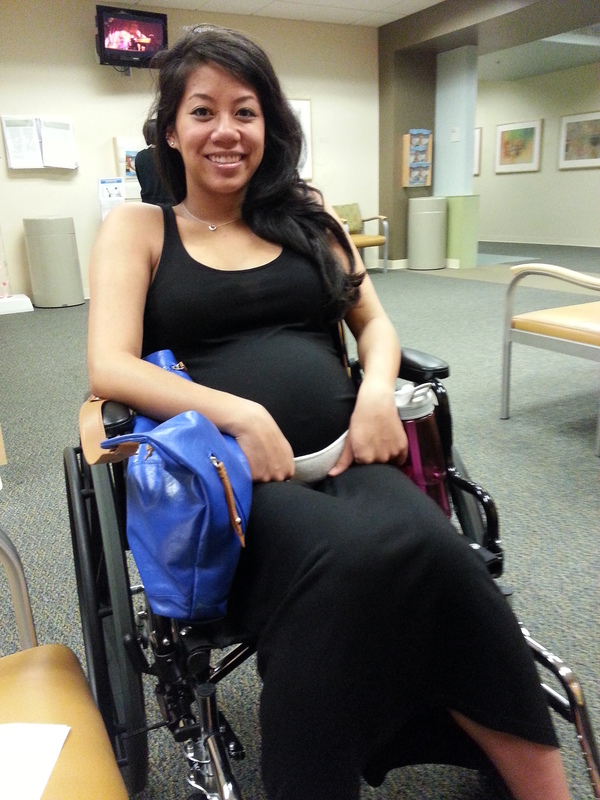 Being pregnant is one of the most amazing experiences a woman can have. While each woman’s experience is different, there is something majestic, almost magical in creating life and carrying it until the time comes for baby to enter the world. Each mother has a pregnancy journey unique to her, and yet they have much in common. 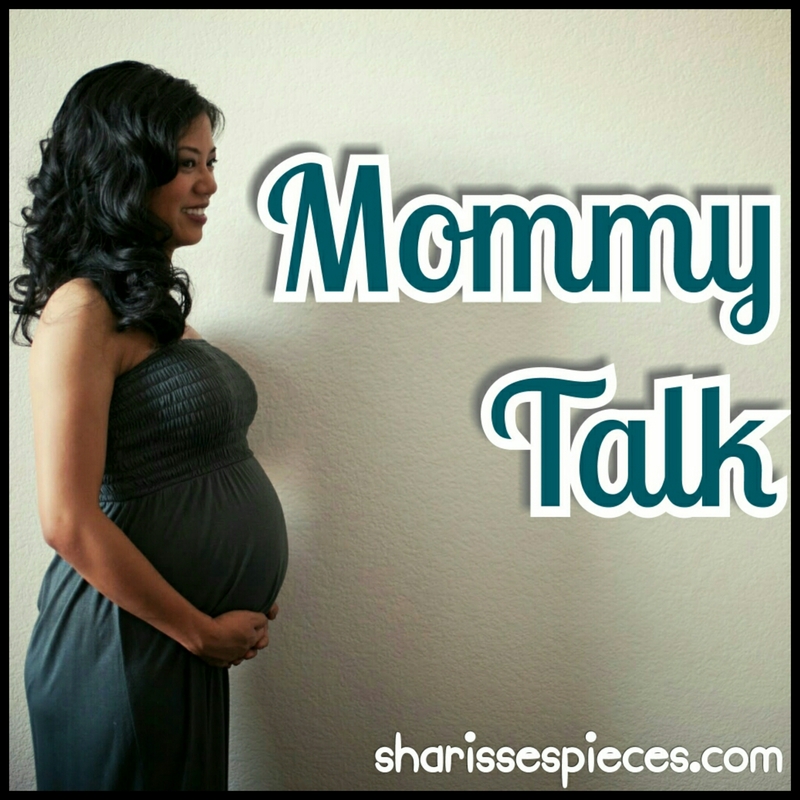 At long last, “Mommy Talk” Series is here! Mommy Talk will be devoted to all things baby/mama/parenting through a collaboration of mamas (I elaborate below). As much as I didn’t initially identify as a #momblogger, the higher blogging powers thought otherwise. While I will continue to write about random, fun pieces of my life, this new project of mine is really looking like the new direction of my blog. I excited. Hope you are, too. Grab a cup of coffee – or a glass of wine (it’s 5 pm somewhere, right?) – and read on! One moment we were on this high, enjoying the pregnancy, living life, awaiting the arrival of our bundles of joy. Then all of a sudden, we found ourselves on a scary new road, the future of our pregnancy daunting and uncertain. I’m writing this post because I want to finally write about the place we were in our pregnancy a year ago. I kept to myself a lot during that time and was pretty secretive about my situation. There wasn’t a trace of what was going on in my blog. Part of me wanted to share every detail, the heartache and the frustration. The other part of me wanted to leave that part of my life among my family and closest friends and just continue to only write about the happy stuff on my blog. Looking back, I wish I shared more of myself and the things going on. Maybe I could have heard tips from others who had similar experiences. Maybe I could have benefited from more support outside of my little circle. While I was too scared to talk about it before, I am ready to look back and reflect with gratitude and share it with you. On May 1, 2013, I was put on strict bed rest. 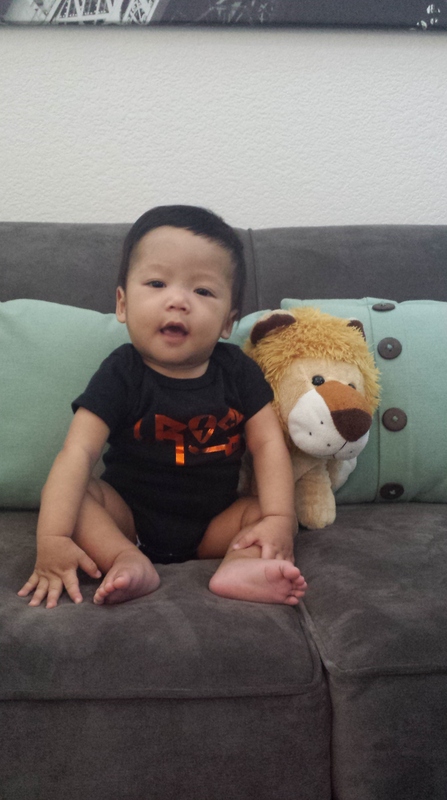 I was only at 21 weeks, just barely over 4 months. I didn’t quite understand the severity and fragility of the situation at the very beginning, but I quickly learned just how important it was to cook those babies as long as I could. It was a long three months, from the very beginning of May to the last day in July. It was a hard battle to fight, but it was worth every second. At the time, we had just found out we were carrying twins and that they were boys. It was a happy appointment – we got the little sonogram printouts that we couldn’t wait to share with family and friends. Later that afternoon, I received a call from the doctor’s office telling me there was an issue with the pregnancy. I was told not to be scared or alarmed, but usually when you receive a call from the doctor that quickly after an appointment, it’s hard not to worry. 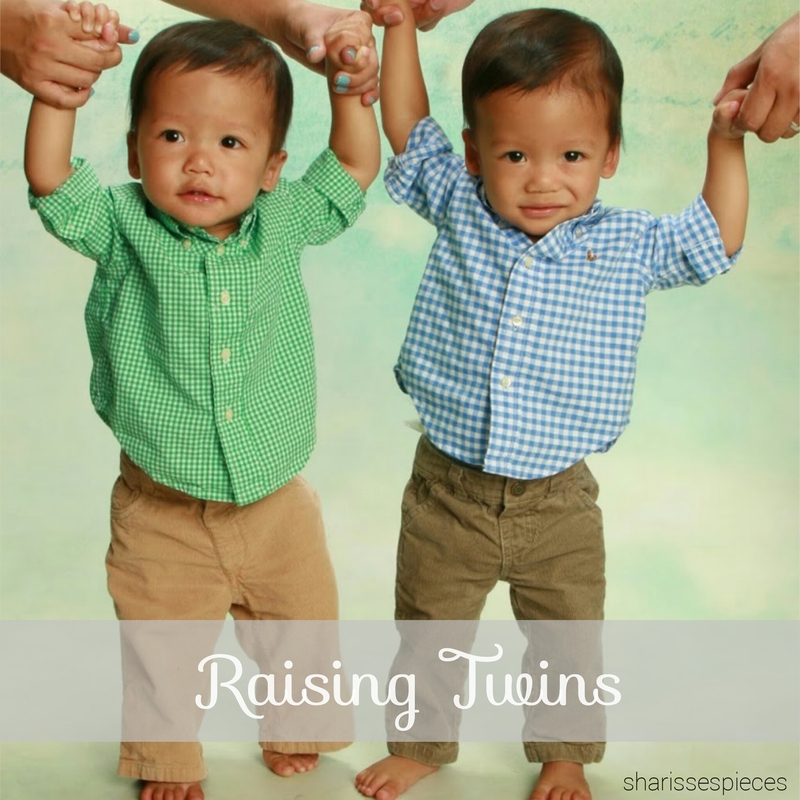 I was told our babies had this thing going on called twin-to-twin transfusion syndrome (TTTS). I heard the nurse, but I wasn’t quite processing everything. I needed my husband to help me understand. After the phone call, I immediately asked my husband to meet me (thank goodness we work in the same building) and the minute I began talking, I remember I started to break down and cry. I told him what I could through my tears, trying to be strong, but also feeling so helpless for our unborn babies. Together, we came up with a few questions to help clarify our understanding. I called the nurse back and she was ever so sweet in helping me get answers. The next order of business was to get evaluated by the experts. We were referred to the UCSF Medical Center. We heard this place had quite the reputation for their Fetal Treatment Center and that some celebrities even have brought their children there. Without losing it and trying to remain strong, we made the drive to SF to learn more about our situation. The doctors and nurses at UCSF were excellent. They were nice and understanding (shout out to Janice!). I had to undergo what seemed like endless ultrasounds in order for them to take a good look at the scenario, take a ton of measurements and pictures, and evaluate and inspect every millimeter of each baby. My belly was so exposed that day! Tons of goo (the cold stuff that you see in the movies) and a lot of watching the ultrasound technician do her thing, while we wondered exactly what she was seeing. We knew she couldn’t tell us much because she wasn’t the doctor, but we were in such suspense as we waited to hear results. When we finally sat down with a doctor to hear her opinion on the TTTS, it was an experience I’ll never forget. She reiterated a lot of the things we had either heard from our doctor back home or read about online. She explained that if the situation gets to a certain point, there is a laser treatment that can be performed to possibly help the situation, although there were no guarantees. The worse part of that moment, was when she asked what our wishes were should the babies be delivered before 24 weeks. Specifically, she asked if we would like the babies resuscitated. We were confused. Why were we being asked this question? Was there any other option? Would someone even consider saying, “no?” Janice, the nurse who was sitting in our meeting, gently explained that California law does not require the medical staff to resuscitate a baby who is born before 24 weeks of gestation. 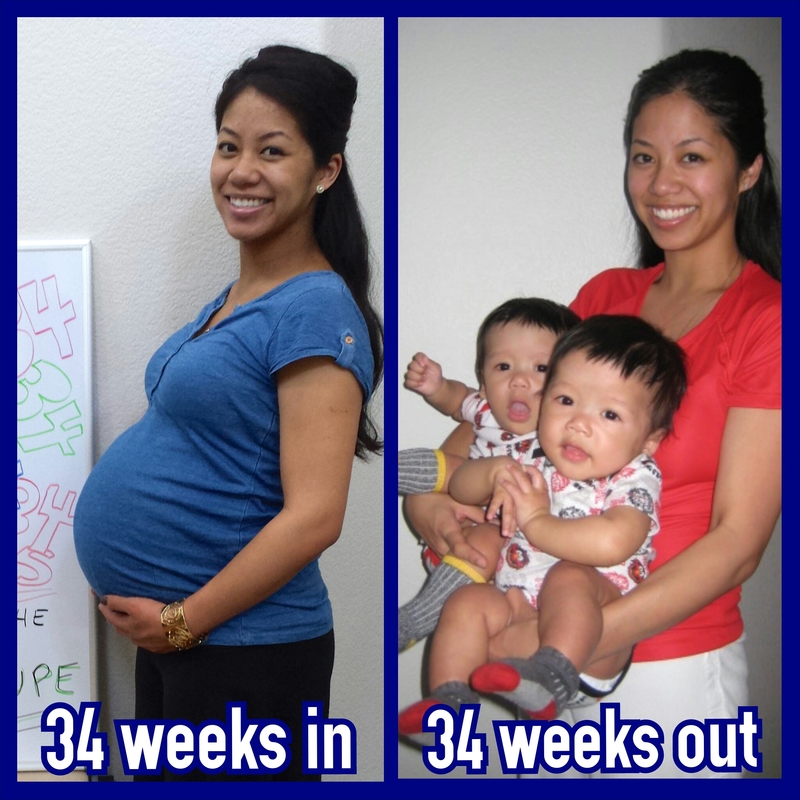 Beginning 24 weeks and beyond, the law does require it. We were barely at 21 weeks. I couldn’t imagine the babies being born this early, at a pound each, let alone imagine them facing someone else’s decision about whether they should be given a chance to survive. It was surreal. I almost lost it. We said of course we would want everything done for the babies to save them should they come too early. 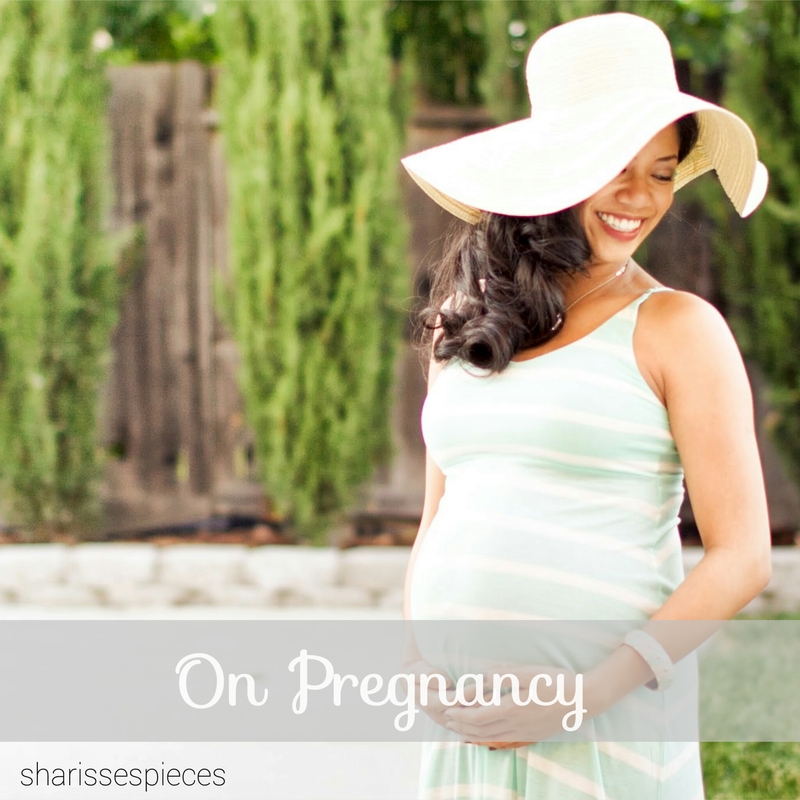 I think that was one of the moments in the pregnancy when things took a huge turn for me and I understood how delicate the situation was. So, it was then I was told that I should stop working right away and go on bed rest. The medical community does not entirely feel bed rest helps in a situation like this, but it certainly couldn’t hurt. I was given prescription medicine to keep my contractions under control. I was told to stay home and brutally limit my mobility: keep my movement downstairs only (no going upstairs), only get up for bathroom breaks, minimize my trips to the kitchen and even try to just have snacks and a cooler next to me, and to only attend doctor appointments. What’s worse, is that I couldn’t even lay down in a position to just recline and prop up a laptop on my lap. 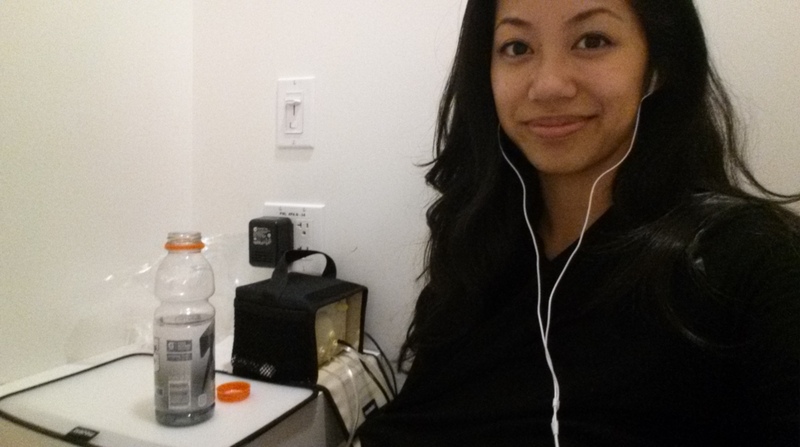 No, I had to be sideways, or at least prop myself up with a pillow in order to relieve the pressure on my cervix. I thought I could work from home, but once I couldn’t exactly type sideways, I gave that up quickly. Pros from bed rest: No work! Everyone waits on me hand and foot! I could boss everyone around ask politely for others to do things for me. Netflix and TV shows. Reading galore. Do my nails and toes (until I couldn’t reach them anymore). Sleep anytime I wanted to (in fact, I slept a LOT). Cons from bed rest: Bed rest does NOT give you real rest (I was achy and it was hard to get comfortable). I was so tired all the time. Muscle loss. No more running, exercising, volleyball, etc… Staying home means no more going out to birthday parties and dinner dates and friends’ houses. Missing out on the entire summer, my favorite season of the year!!! Every week, every DAY was critical. We would celebrate each moment we woke up and realize the babies had another day to grow inside the safest place on earth, my belly. The days seemed long at times… I didn’t know how I’d get through. But what could I do except follow the doctor’s orders, take my medicine, and wait? At one time, I was on hospital bed rest… for almost two weeks! It was insane. After an appointment with my OB, she told me to go home, pack a bag, and return to the Roseville Kaiser (which is some 45 minutes away from home). There was a high-risk unit there, where I could be monitored and be close to the high-risk neonatal intensive care unit (NICU) should anything happen and the babies get delivered early. I look back and cannot believe I stayed in a hospital for so long. Granted, some women end up staying on hospital bed rest for MONTHS, hooked up to monitors 24/7, up until the very moment their babies are delivered. Thankfully, I did not have to stay that long, although any amount of time in the hospital for a reason other than check ups, ultrasounds, and labor/delivery are not exactly what a pregnant woman looks forward to. Thank goodness for the amazing nurses! Many of them helped me stay strong and put me at ease. My hubby stayed with me EVERY NIGHT, sleeping on a less than comfy pull out of a couch, if that’s what it was. My family visited me almost every day, bringing good food to beat the hospital food that was on a rotation I quickly got tired of. I tried to sleep a lot to make the time pass. I had a small little window to the outside world and yearned for the sunlight on my skin. It was during my hospital stay that I began fervidly writing all of my thoughts and feelings out. During the moments I was alone in the hospital, I would scribble my worries and fears, the highlights of the day, the hope that I hung on to. I would describe the doctor’s evaluation for that morning and I would record the outcome of the fetal monitoring (NSTs – neonatal stress tests) that were performed twice a day. I needed a sounding board, an outlet for the whirlwind taking place inside of me. I called my secret blog, “Cooking the Booplets.” An inside thing between the husband and I was to call our bun in the oven our “booplet.” Then when we found out there were two, we referred to them as the “booplets.” The name stuck and so it made sense that I would write about cooking them. Looking back, I can’t believe how much I wrote! 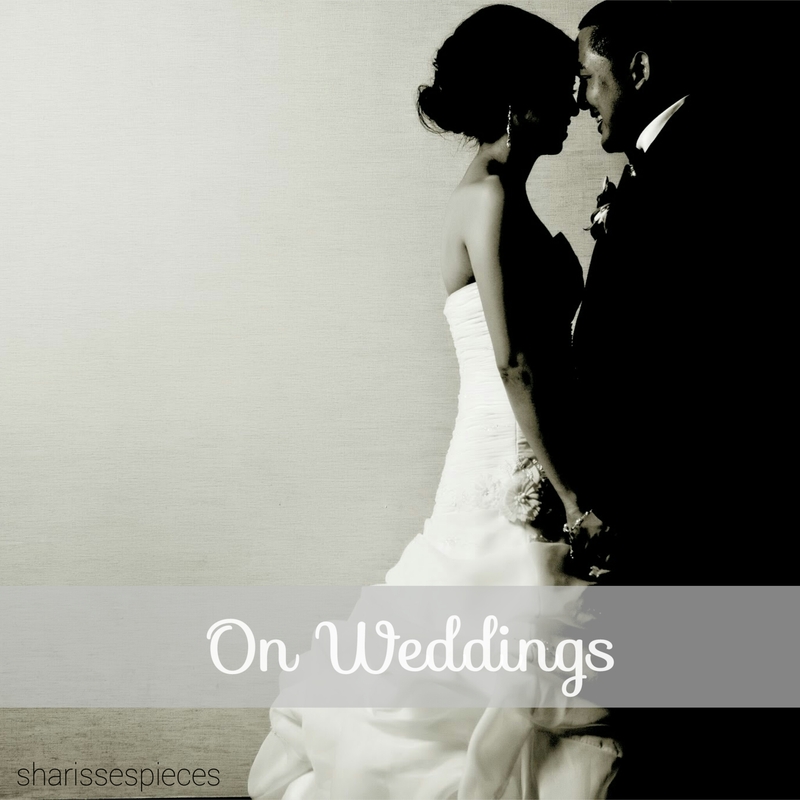 All of these posts were written aside from my Sharissespieces blog, since I was so nervous about sharing the situation with just anyone. I didn’t like burdening others with my worries. I didn’t want to hear the pity and see the sad faces. I kept my public posts on this blog perky and happy, despite the troubles I was facing in my private life. With our strong faith and unfailing support system, we chugged along week after week. We reached a point where I was even given permission to attend baby classes at the hospital! It was hilarious how excited I was to see people in the outside world. I was monitored twice a week at a local clinic (shout out to Deanna!) and it was so cool how I got to hear the babies’ heartbeats so often. I also had double, if not triple, the doctor appointments because of our high-risk situation, and we luckily got to have a TON of ultrasounds performed. We saw our babies so often and got to see their growth more often than we ever would have expected. Just as our pregnancy took an unexpected turn when we learned of the TTTS and that I was dilated a centimeter and having contractions, we were told that the TTTS has basically corrected itself and was no longer existent! Miraculously the babies’ fluid levels kept getting more and more equal, to the point that the TTTS was considered gone. This was a true blessing as we learned only about 50% of TTTS cases get better and the other half get worse, only to often end up in tragic outcomes. It was unbelievable. Also, my cervix stayed dilated at one centimeter, thanks to my obedience to the bed rest and meds. After three whole months of being put on strict bed rest, the babies made their debut. The VERY NIGHT I was taken off of the medicine that kept my contractions under control, is the night my water broke! You can read more about my birth story here! 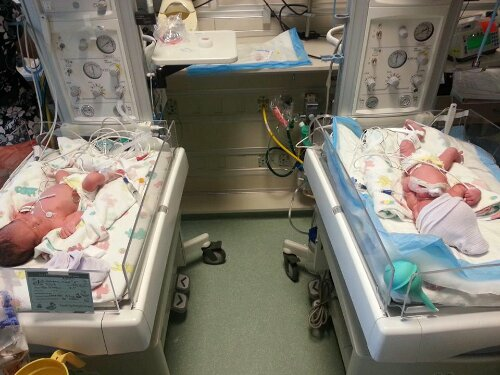 I still want to write a post on our experiences in the NICU. Gosh, that was such a scary and heavenly place at the same time. 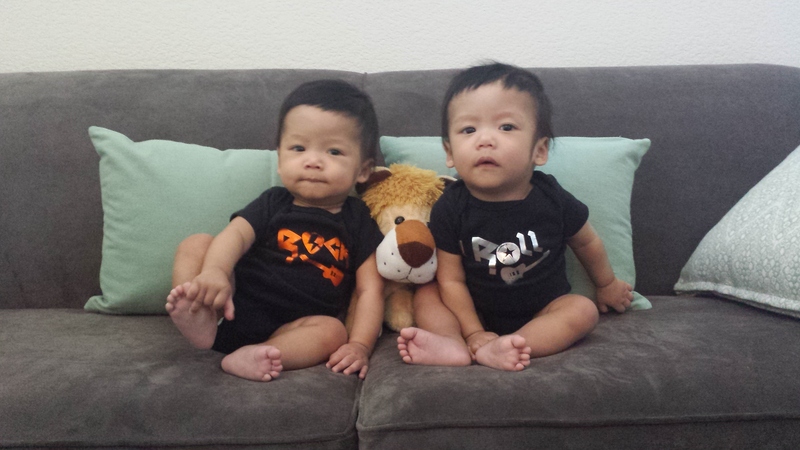 The boys spent almost a month there, and while it was so heartbreaking to leave your babies each night, we were grateful for the care they received and the help we were given from the NICU nurses. Happy Nurses Week to each of them! I can’t believe I wrote this much, but writing this post is cathartic for me. As with writing in general, I feel relieved of this penned up energy that had been brewing for over a year. The booplets are more than alright now, they are happy, healthy, and thriving! The way we handled our pregnancy was the epitome of the phrase, “Go with the flow.” We just had to keep chugging and hope for the best, even if we were thrown more hurdles and setbacks. The same phrase has been the theme of parenting – you can only do our best, especially as first time parents. You can set schedules, read the books, and make plans, but everything can change in the blink of an eye and you’ll have to just roll with the punches. To anyone who gets placed on bed rest, you can and will get through it! It is a fleeting time in your life that you have to just give 120% of yourself in order to give your baby – or babies – the best fighting chance at life they deserve. Things they’re doing: These days, you can find them sitting on their own for a couple of seconds (before a wobble or, more tragically and hilariously, a face plant). They light up when someone gives them attention. They laugh, giggle, and “talk” when you do the same. They’re “talking” is really a lot of baby babbling, but they’re actually making different sounds than before. We hear a lot of sounds beginning with a “d” or a “b” and the noises are sometimes accompanied by a lot of spit since they seem to be blowing raspberries at the same time. When they’re not getting what they want, you’ll hear them probably from the neighbor’s house as their lungs are truly capable of screaming beyond belief and their voices can reach pitches unheard of. They seem to have fun when being held in a position to extend their legs and “stand.” They also react and light up to their reflection in the mirror. Stats update: At a previous visit to the doctor, they weighed in at about 18 lbs, but we won’t know until their nine-month check-up how long they measure. Sleeping update: Even though both boys are sleeping pretty much the entire night, they will wake up (usually between 3 am and 4:30 am) and either start babbling or fussing/whining. Sometimes it turns into a full blown cry, but it also subsides soon enough for me to not intervene and let them wait until the usual 5:45/6 am when we first get them and give them their first bottle of the day. We may need sleep training in reverse: How to keep babies from being early risers! I mean, I love waking up early in the morning to get my day started, but I’m cool with 6/7 am, not 3/4 am!!! Eating update: The boys are still mostly on breastmilk/formula, although I recently decided to stop pumping (will discuss this decision later. I actually have been wanting to write a post on breastfeeding/pumping overall. Hope it happens!) They boys eat baby food twice at daycare, but that’s about it. We haven’t been too successful with feeding baby food at home and need to really crank that up. I did make food myself for the first time thought! I microwaved sweet potatoes, pureed them and added some breastmilk, and the boys seemed to like them enough. Looking forward to making more food at home. The pre-packaged baby food is sure adding up and I would MUCH rather make food from scratch. My reasons for not doing so are being lazy and not having enough time, but I need to really stop with the excuses if I want to start our babies off right! See more monthly updates HERE! This boy has conversations with us! Just a few days ago, I started responding to some of the noises he makes (not really noises, but actual, intentional sounds, just not actual words). What I found out was he was either imitating me back or responding. We would each make a one syllable sounds/noise (mine was “Hey”) and it went back and forth for quite a while! I thought it may have been a coincidence, but the hubs witnessed it not once or twice, but a few times, and he’s even done it himself! We’ve also done it in the car while AJ was in his carseat facing the rear and we are in the front. Super cute and amazing. Need to capture on video ASAP! Other than that cool new thing, AJ has been overall pretty mellow, but don’t let that fool you! He can definitely scream his lungs out when he’s frustrated or not getting what he wants right away. This boy is full of DRAMA! 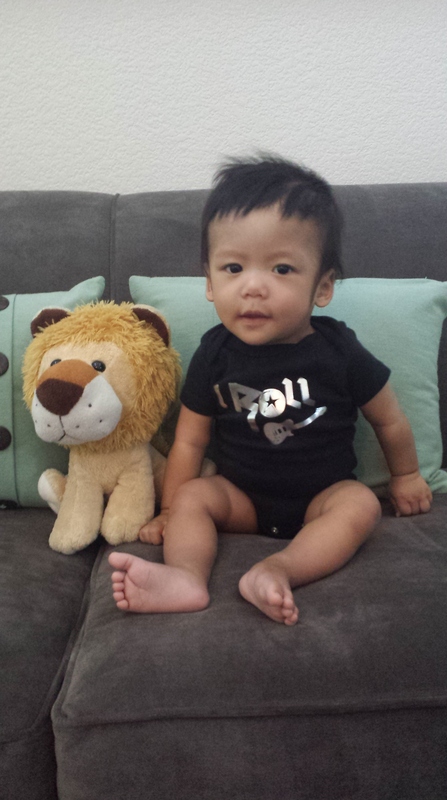 He is definitely more fussy, intense, and crazy than his brother. They both cry and fuss, but for some reason, JT almost always needs to be held and throws a fit when you walk out of the room. He love to reach and grab things he sees, which is very adorable and also very dangerous! We really have to watch out what the boys can touch. Very soon, we’re going to have to baby proof the house finally. Before we know it, they’ll be mobile and exploring and getting into things we never thought they’d get into! Funny fact: JT loves the NuWave oven sitting on our island in the kitchen! Every time I walk by, he reaches out and wants to just bang his hands on top. I try use these little quirks to my advantage. For example, while I prepare a bottle, I’ll sit JT on the island in front of the NuWave while supporting his back and then use my free hand to get a bottle ready (yes, I have skills, I know). Other times, I’ll prop up one of the babies sitting by my leg while I change the other’s diaper. This is to really promote them sitting on their own. I feel bad that we are not around more to help the babies with these milestones. I know they practice at daycare, but there are a lot of other kids there who need attention, too. I wish I could spend all day helping the boys sit better and even work on crawling. But those milestones will all get here when they need to and soon we’ll wish they would stay in one place just like they still do (unless they are scooting away or rolling back and forth enough to move across the room!). JT was sick last week, but thankfully he is fully recovered! Something fun I saw online a while ago and wanted to make my own version! It’s crazy that these boys were once in my belly. I never thought I’d say this, but there are times that I miss bed rest! No, I do not miss the limitations/restrictions I had, I don’t miss the back pain, I don’t miss the medication and endless visits to the doctor/hospital, I don’t miss all the pregnancy complications and scares… But I miss how easy it was to take care of the monkeys in my belly – I didn’t need to do anything! They ate, slept, pooped and peed (gross, I know) in my belly. They stayed in one place and I always knew they were there. I could take a nap anytime of the day, have my family cater to my every need, and I caught up on a ton of TV! Look at them now. It’s seriously a blessing and miracle that they are here. And what’s even more beautiful is how healthy and happy they are! We are so grateful for these two. I recently made the decision to stop pumping breastmilk. This was a very tough decision for me as breastfeeding and pumping can be very emotional and sensitive topics, especially for a new mother. On one hand, I am sad that I will no longer be providing my babies with the “good stuff” (as the hubs so sweetly calls it). I actually stopped nursing a few months ago, but I still feel like a bond between my babies and I is being taken away. Pumping milk for them is something only I could do and I was so determined to do my best for them. Despite all of my sadness, however, I am relieved! Hauling around that little pump and all the parts needed was getting to be too much. Washing the parts, having to remember to bring everything I needed, planning my schedule around pumping, remembering to throw the milk in the fridge or freezer right away… I will soon be free! I will also have more time on my hands and will be able to invest the time I would normally spend pumping and washing parts to the babies or other needed tasks or even just resting. I could go on and on about this topic, so I’ll stop here and save it for a separate post! 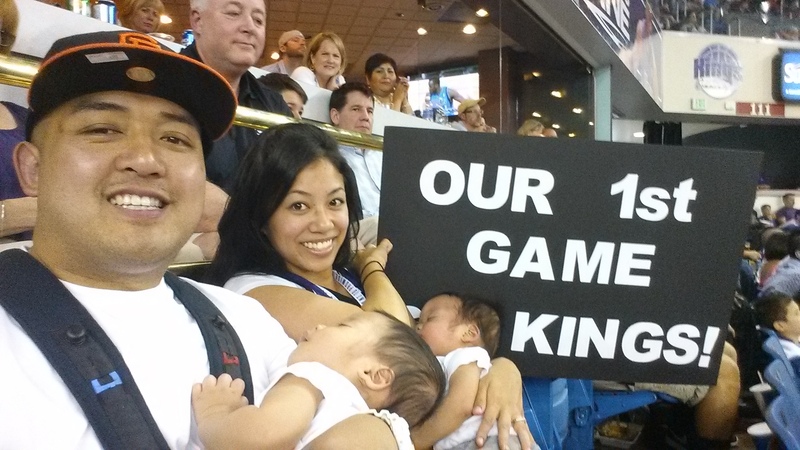 We brought the boys to their first the King’s game on Sunday! Tried to get on TV, but sadly we didn’t make it. 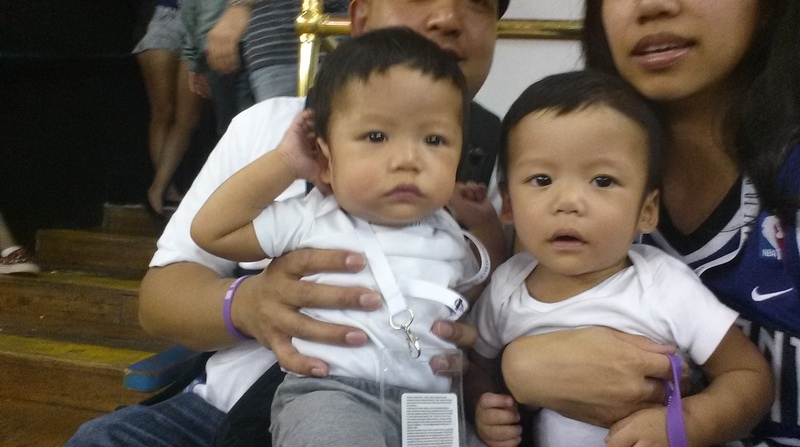 We got tons of compliments on how cute the boys were from the people around us. These cuties always attract attention when we go out! Family selfie! The boys did really well – they barely fussed and mainly just got restless. At one point, they even fell asleep! It helped a lot to wear them in baby carriers so our hands would be free. 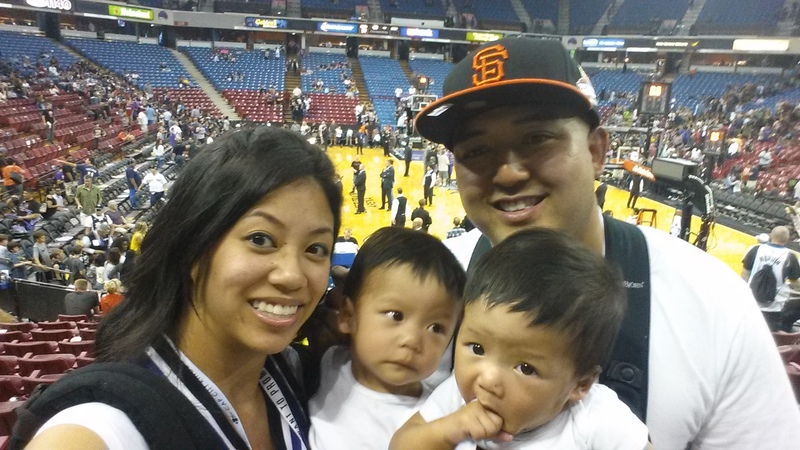 I was super nervous about bringing them to the game, but I’m glad we made it and I’m really glad we did it! What’s a gal to do at 3:41 am in the morning as she’s burping one twin after the other? Capitalize on those creative juices and write a poem of course! Somehow a few rhymes in my head turned into a full blown poem. It’s very, very long. I just couldn’t stop writing. True story: I used to write poems as a kid all the time. I even had a poem book. The writing went on through middle and high school. I even spoke at my middle school and high school graduations and guess what I read? POEMS! Maybe if I can dig them up I will post them one day… or not. Anyway, here’s something I wrote in the past few days as a tribute to my pregnancy and first few months as a parent. Hope you like it!